- OffGamers is the authorized distributor for OpenBucks Card (Global). 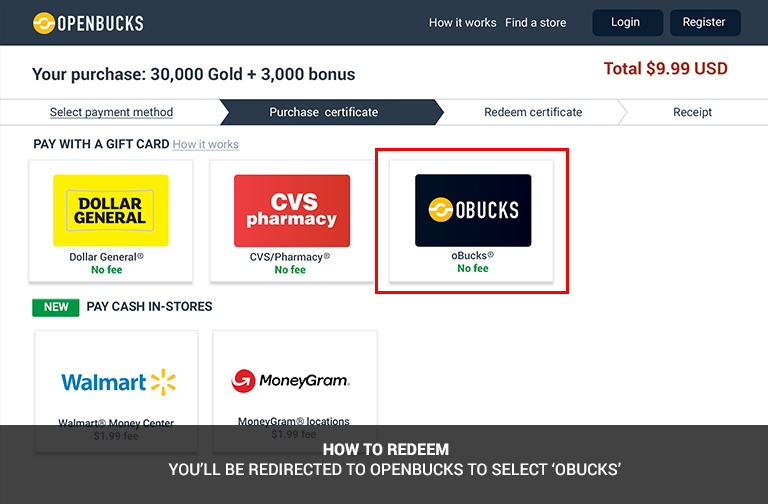 OpenBucks (Global) was founded in 2010 and is an Internet payment company based in Silicon Valley, CA, which allows people to pay online using gift cards from major retailers. OpenBucks (Global) mission & vision is to enable online retailer to transact and accept safe payments with the most trusted brands in the world while making the online payment affordable, safe and available to everyone. 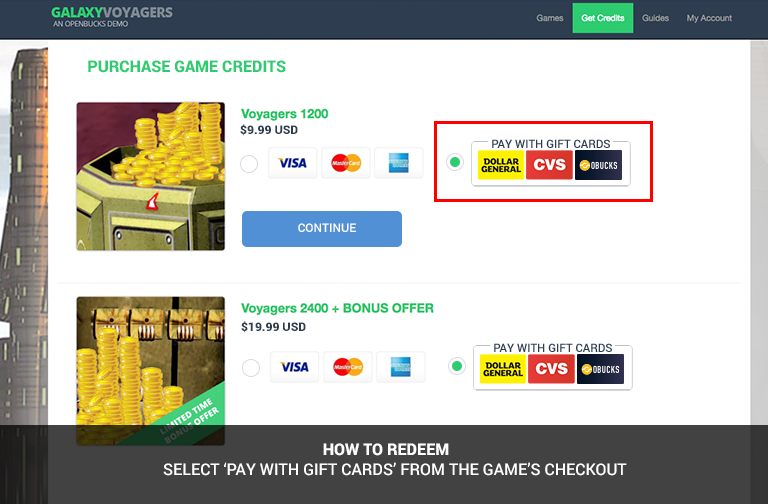 Buy USD10 oBucks Card now to enjoy using in over 500+ games.